There was so much hype surrounding this film that you would have to believe it almost impossible for the finished product to live up to the hype, but at this point, it would be foolish to bet against Marvel. They've hit far more than they've missed and with Black Panther they might have produced not just their best film ever, but the film of the 'superhero' era that we're currently going through. The movie opens with the story of Wakanda itself. Five tribes are warring over a meteorite that contains vibranium. One warrior ingests a 'heart shaped herb' and gains superhuman abilities, becoming the first 'Black Panther.' He unites all the tribes save one, the Jabari, who retreat into the mountains into the nation of Wakanda. Over the centuries, they use the vibranium to develop advanced technology and hide themselves away from the world by posing as a Third World country. Then the movie flashes forward to 1992, where Wakanda's King T'Chaka visits his brother N'Jobu (Sterling K. Brown) who is working undercover in Oakland. The king accuses his brother of working with the black market arms dealer Ulysses Klaue (Andy Serkis) to steal vibranium from Wakanda. N'Jobu's partner reveals himself to be Zuri, who confirms the suspicions of the King. After a brief struggle, the King is forced to kill his brother. He then leaves, taking all evidence with him, as far below, a child watches them go. In the present day, following the death of T'Chaka in Captain America Civil War, T'Challa (Chadwick Boseman) returns home to assume the throne. He and Okoye (Danai Gurira), the leader of the Dora Milaje, the bodyguards of the King extract Nakia (Lupita Nyongo), his ex-lover from a mission in Nigeria so she can come home to attend the coronation ceremony with his mother Ramonda (Angela Bassett) and his sister Shuri (Letitia Wright.). At the ceremony, the leader of the Jabari Tribe, M'Baku (Winston Duke) challenges T'Challa's claim to the throne, but is defeated by T'Challa who persuades him to yield instead of die. 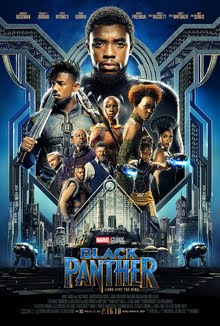 When Klaue resurfaces along with Erik Stevens (Michael B. Jordan) to steal a Wakandan artifact, T'Challa is persuaded by his friend W'Kabi (Daniel Kaluuya) to go and attempt to bring Klaue back alive to face justice. Taking Okoye and Nakia with him to Busan, South Korea, the Wakandans learn that CIA Agent Everett K. Ross (Martin Freeman) is there to buy the artifact as well,. In the ensuing firefight, Erik extracts Klaue and Ross is injured protecting Nakia. Instead of pursuing Klaue, T'Challa takes Ross back to Wakanda, where their technology can save him. T'Challa confronts Zuri (Forest Whitaker) about N'Jobu and the truth of what happened that night and it is there he learns of the existence of N'Jobu's son, Erik Stevens who became a US Black Ops soldier and adopted the name Killmonger. He, for his part, kills Klaue and brings his body back to Wakanda, where he reveals his identity and challenges T'Challa's claim to the throne. Meeting him in combat, he defeats him and throws T'Challa over the waterfall where he is presumed to have died. Killmonger takes the purple herb and gains the power of Black Panther, burning the rest. He then orders that advanced weapons and technology be shipped to Wakandan operatives around the world to help oppressed people of color in their struggles. Nakia, Shuri, Ramonda and Ross flee to the Jabari Tribe for aid, where they find a comatose T'Challa who was rescued by M'Baku in repayment for sparing his life. T'Challa is healed by a dose of the purple herb that Nakia managed to rescue and returns to confront Killmonger. He is eventually defeated and stabbed, but refuses to be healed, choosing to die a free man rather than face jail. T'Challa, for his part, decides that Wakanda can no longer hide itself from the world and begins to change their policies of isolationism. Man, I don't even know where to begin with this movie. It's a glorious monument to the entire idea of Afro-Futurism. In terms of representation on screen they absolutely nail it: the cast is like a who's who of the most talented actors of color in Hollywood right now. If you would have thrown Denzel Washington, James Earl Jones, Oprah Winfrey and like Viola Davis or Alfre Woodard into the cast I think the universe might have imploded with the awesomeness of it all. I can count on one hand the number of 'white' characters that get significant screen time outside Ross and Klaue- and for a movie that's about a nation in Africa, set in Africa, telling the stories of Africans that doesn't just feel right, it's another absolutely correct decision. Hollywood doesn't get representation right all the time, but in this case, they did. And that's worth noting and celebrating. Overall, once you get through all the layers of awesome that are just the cast and the construction of the movie, the story itself is amazingly awesome as well. It's a story about fathers and sons and legacies and choices and colonialism and racism and revolutionaries and overcoming the past to construct a future all your own. By the end of the movie, the evidence is insurmountable: Black Panther is the jewel in Marvel's ever-expanding crown. Long live the King. Wakanda Forever. My Grade: ***** out of *****.